Would you like to stay close to the beach of Scheveningen? Our hotel is 3 minutes away on foot from the boulevard and the iconic Pier of Scheveningen. Ask my friendly staff for recommendations such as Sea Life Scheveningen or AFAS Circus theatre. Ibis Den Haag Scheveningen is perfectly located for a visit to the only real "City by the Sea". You can easily reach the city centre of The Hague by tram, which stops right in front of the hotel. In this beautiful city, you can shop to your heart's content and also enjoy its rich variety of art and culture. Visit the renovated Royal Picture Gallery Mauritshuis or Madurodam for example. In addition, the hotel is located just minutes away from the promenade, Scheveningen beach and the Circustheatre. 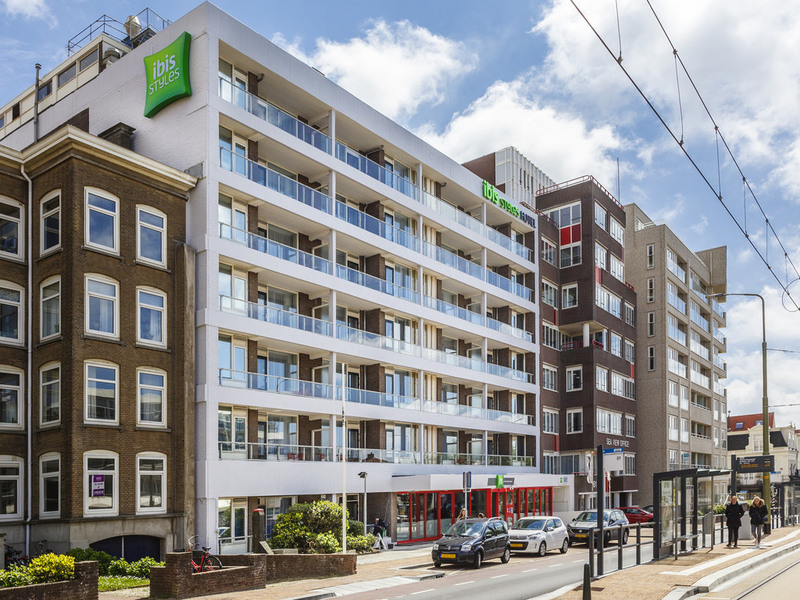 ibis Den Haag Scheveningen is conveniently located just around the corner from the beach. By public transport, the city centre of The Hague is just 10 minutes away. The metro and bus station is to be found opposite of our hotel. Warm, modern and comfortable with a soft bed and a functional bathroom. The room has everything you need to make you feel at home. Superior Rooms also feature a spacious balcony.